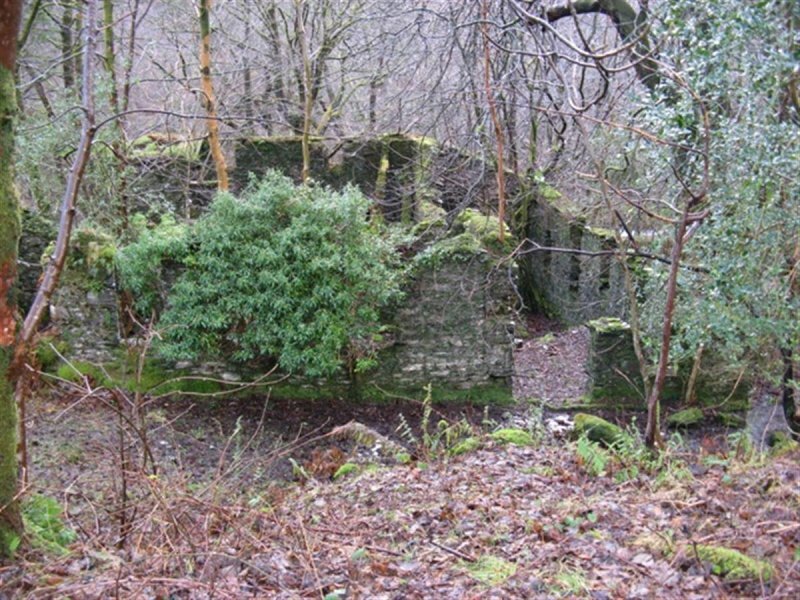 The remains of several large stone buildings, all contained within a high stone wall. 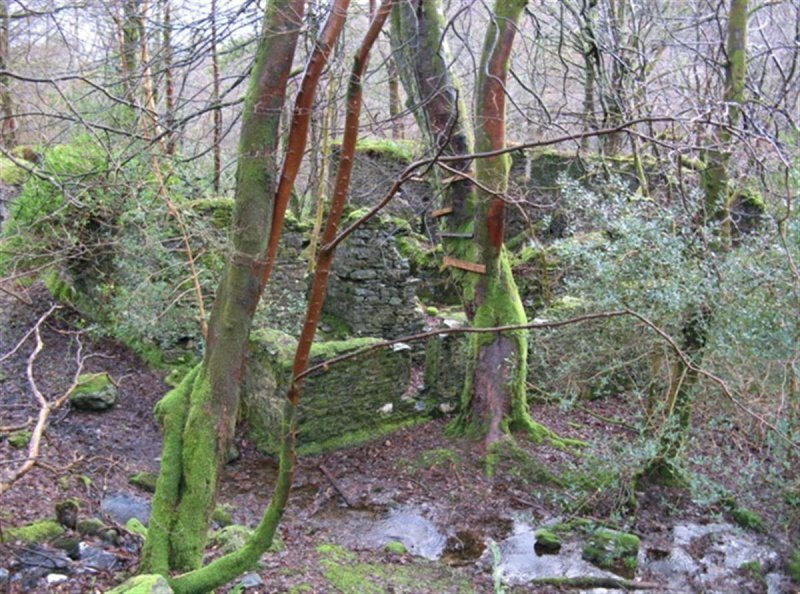 This was one of four large black gunpowder works which operated in Argyll in the 19th century, attracted to the area by its lack of sizeable settlements, its accessibility by sea, and the availability of wood suitable for making charcoal. 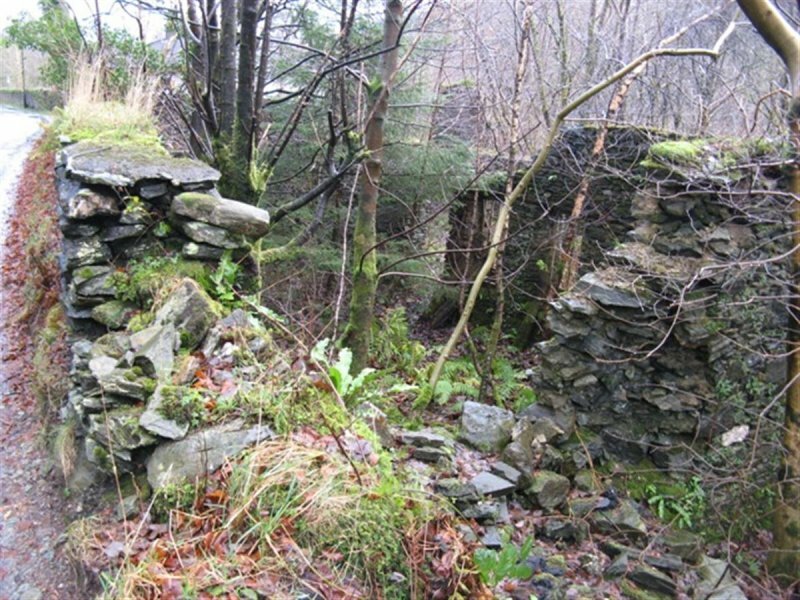 December 2009: External inspection finds the site of great interest, but is in a ruinous state with all structures approaching collapse. 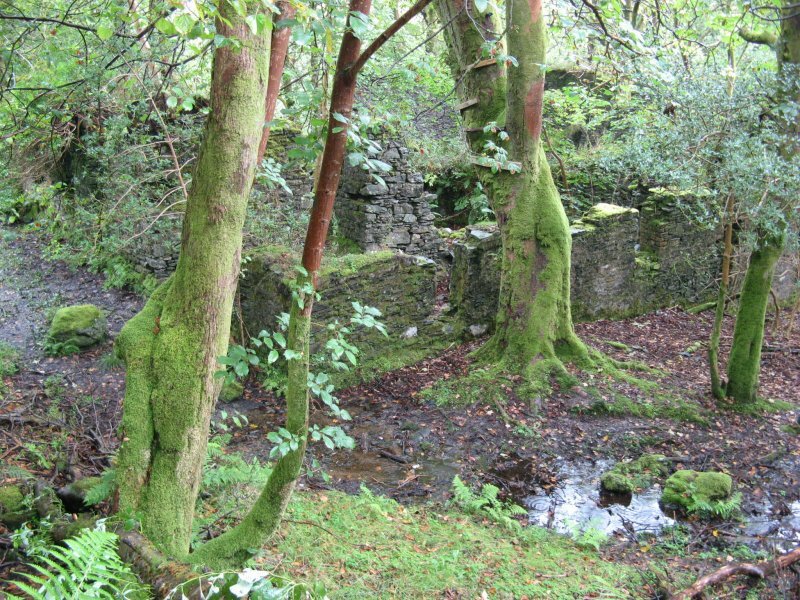 It is very overgrown, damp and difficult to access. 31 August 2012: External inspection finds no significant change from the previous site visit.